'JD' stands for Joe Dziedzic, who is Minneapolis native and was named Minnesota’s “Mr. Hockey” in 1990. As a senior at Edison High School he was drafted #61 overall by the Pittsburgh Penguins in the NHL Amateur Draft. Joe went on to star at the University of Minnesota and following his collegiate career, played professionally for five years alongside NHL legends like Mario Lemieux and Jaromir Jagr. Since retiring in 1999, Joe’s reputation as a coach has been built through his success coaching in the Upper Midwest High School Elite League, through the founding of Team Reebok AAA Hockey (now TC Penguins) and through his JD Hockey Skills Training programs. Coach Dziedzic has trained thousands of hockey players at all age groups across the region, including many current college and pro players. Joe's coaching career began with Upper Midwest High School Elite League- where he coached Team Northwest for 7-years from 2000 - 2007. With success found coaching in this league he was recruited to rebuilt the St. Paul Academy from 2008 - 2010. Following this challenge he was again recruited to rebuilt the program at Minneapolis HS co-op, which he has been doing from 2011 - present. Joe also works as hockey director with the Herb Brooks Foundation, whose mission is to help grow the game of hockey. Garet has been with JD Hockey for the past 5 years. By day he is an elementary school teacher and by night a JD Hockey star. After graduating from Cambridge High School he played his college hockey at St. Scholastica in Duluth. Garet has a strong passion for teaching the game and runs most of the off ice training programs. He and his new bride Haylee live in downtown Mpls. Tony has been with JD Hockey for 4 summers. He played his high school hockey for Joe at Minneapolis and just graduated from Aurora University in Chicago Illiniois. Tony was a standout defenseman and was named captain for his senior year. He is in the process of completing his EMT certification. Joe grew up in Northeast Minneapolis playing for the Edison Youth Hockey Association. During his senior year he was named Minnesota's Mr. Hockey and the Star Tribune's Metro Football Player of the Year. The NHL Pittsburgh Penguins selected Joe as their 2nd pick in the 1990 draft. Joe played four years for the University of Minnesota under coach Doug Woog. He was part of the 1992 WCHA League Championship team, and also was part of the 1994 Frozen Four Tournament at the St. Paul Civic Center. "A hard-working defensive forward, Dziedzic surprised many experts by earning a spot on the 1995-1996 Pittsburgh roster. He scored his first NHL goal in a 3-0 victory over Washington on November 18, 1995." Joe played in the NHL for five years after college hockey. 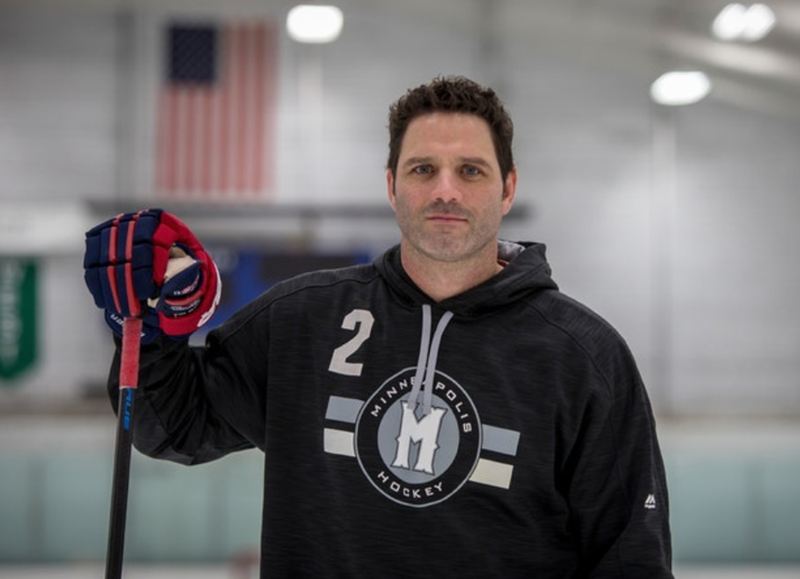 Though an eye injury closed the door on Joe's playing career in 2000, another door was opened as he began training players and created Joe Dziedzic Hockey. "Just breaking into the superstar-laden Pittsburgh Penguins lineup should be a source of pride for any young skater. He has seen time on the wing aside 'Le Magnifique' Mario Lemieux, an honor for a player at any age."